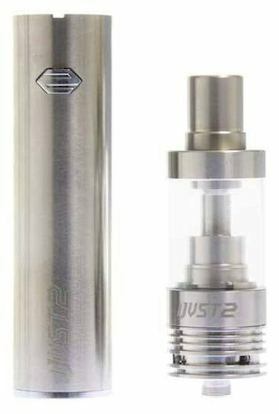 The iJust 2 e-cigarette kit by Eleaf features a 5.5 ml e-liquid capacity tank and a 2600 mAh battery capacity. Despite its simple appearance and light weight this device was made to perform. Easy to charge and vape using the included USB cable. The battery features 2,600 mah of all day power and Short-circuit protection, low-voltage protection and overcharge protection. Along with adjustable airflow, this complete starter kit has everything you'll need and the performance never disappoints! 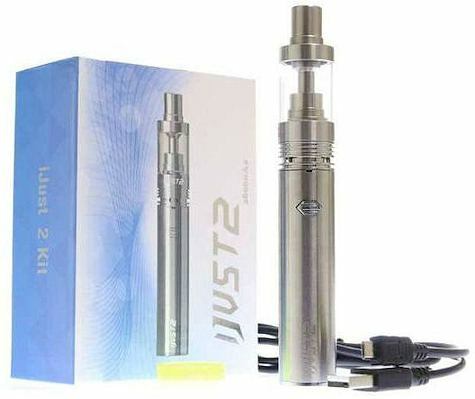 This kit comes complete with the iJust, USB cable, coil, tank, airflow control ring, manual and a 30ml bottle of ejuice!